In a small manger bed, in a pretty bleak atmosphere despite stories of angels, and singing and wandering/worshipping shepherds, there is a word that God has spoken that IS the only cure for what ails the human heart. This gift of Jesus is just that…a gift – a gift of love and grace that continues to inspire and dramatically change lives despite the passage of the centuries. God wants for no other reason for you and me to experience in Christmas a reminder of what has always been on the top of God’s agenda for you and me to experience – and that is love. For what more can a newborn baby bring than a heart of love…what more can a miraculous birth into our world be than that one expression of God’s love for you and for me that we so desperately need and long for? We need another good dose of good news in our day…in these moments. Maybe we’ve screwed it up a lot over the years…maybe we put the wrong foot forward when it comes to really letting people around us know about what God is up to…but don't be distressed. Make no mistake about what God wants us to hear loudly and clearly again this Christmas Eve night – you and me are loved. God actually looks happy to be with us. You know how you can tell whether a person really does love and care about you? When those other people want to hang out with you. I’ve always felt a bit sorry for people who wallow in the waters of loneliness…can be very devastating. But what I like to tell people who are battling with loneliness is this – be the type of person that others would love to hang out with and people will start showing up. I’ve never had a problem not wanting to hang out with people who care about me and actually look like they are happy to be around me…just the way it is. Here’s God – God could have chosen any way in the universe on how to communicate his love to people. What He did decide to do was hang out in our world and actually look like He was enjoying himself. 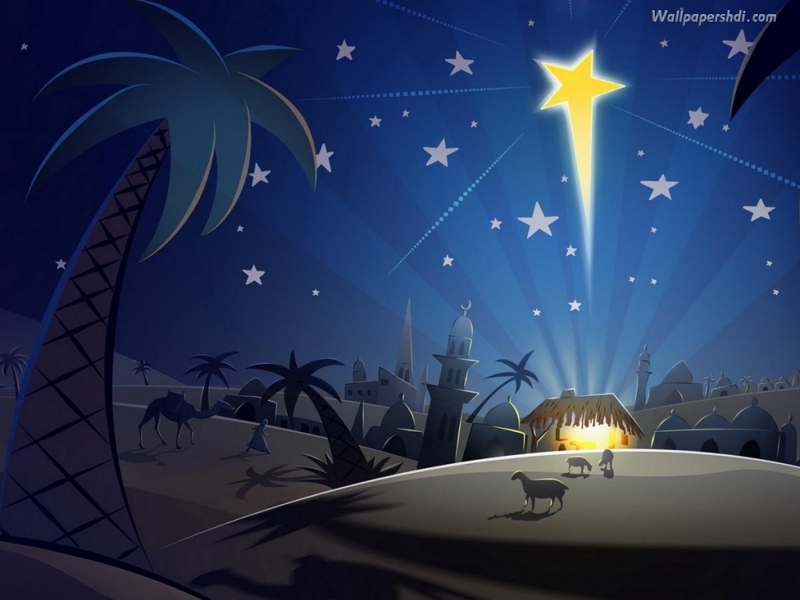 Angels singing, shepherds running to see what this Jesus is all about…Mary and Joseph and a baby cooing in a manger bed. God didn’t wisk the baby away to some secret spot as if he were trying to keep him concealed or hide him from the average folk…God put him right out in public. Let everyone who wanted to see Jesus get a chance to see – God’s actually happy to be here…with you and with me. Make no mistake about it…if the truth of tonight is that Jesus loves you there is also another truth that is just as important for you to hear…Jesus likes you and wants to hang out with you. The "Incarnation" is a big word that says Jesus moves into your life. He pokes around and looks where you want him to and where you don’t want him to and he still comes to the same conclusion, He says, I love you..astounding isn't it? He’s taken the initiative to seek us out. A lot of us have…a lot of us would admit that we have lost our way in life more times than we can count. Some of us set out in life to be happily married and got divorced. Some of us set out to be healthy and got sick. Some of us set out to do something really significant with our lives and ended up with an important but publically insignificant job, living our lives influencing dozens instead of millions. Religion never can deliver because it is not something that seeks you…it isn’t personal…it is a system…a cold, organizational, dogma laddened system. You never have to worry about whether Jesus really does want to find you. Oh you may have wondered if people really cared enough to look for you and find you when you were playing hide and seek as a kid. You may wonder even now if when you look at your life, I mean really homestly, if people were to know the real story…if they would care…if they would love. No matter who you are…no matter what you have done…no matter what’s going on in the deep recesses of your heart, Jesus will be born unto YOU this night. In the eyes of a child, the Jesus child, there is nothing more than love and acceptance and grace for you. Exploring…looking…searching and then locking in…when that happens, there is a smile. Jesus has the uncanny ability to look at everyone with grace-filled eyes. 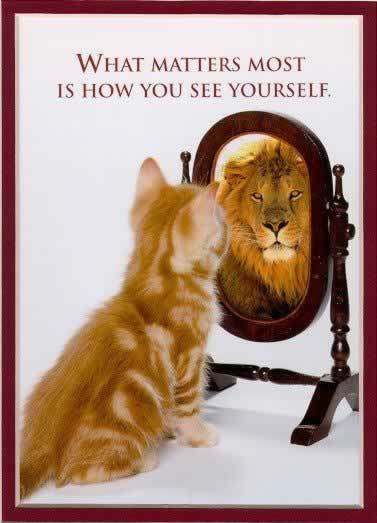 Not only seeing the beauty of who you are but what you could become…your sacred potential. A lot of us have been exposed to toxic faith. Hypocrisy and prideful people squelch any possibility of us encountering anything but toxicity. God entered our world and demonstrates beyond a shadow of a doubt that there is NOTHING that can separate us from God’s love. That’s why Jesus is important…He’s close…He’s very close…that’s what baby’s do…they snuggle in close. God isn’t out there…He isn’t on some throne of judgment looking to axe you as soon as He has an opportunity…what he is saying from a manger bed is, "I LOVE YOU." That’s what God says to you through Jesus – I love you, I forgive you and come to dinner with me. Religion is a system of rewards, blackmail, calculation and aggrandizement in which people only come off better or worse. You see, Jesus never bullies…the manger doesn’t coerce. When you feel like you are at the end of your rope…God’s love runs up to you and embraces you with tender arms and a loving heart. When you feel like your heart is broken and there’s no hope left, God takes that broken heart and gives you HIS. “I don’t want a Christmas you can buy. I don’t want a Christmas you can make. What I want is a Christmas you can hold. A Christmas that holds me, remakes me, revives me. It’s hard to believe but it’s true! It’s hard to believe…but it is true! There are many things that are hard to believe. In fact, here’s a YouTube video that gives you some ideas of those things that are unbelievable. I find it hard to believe that I’ve turned 60 years of age. I am a bit nervous of sharing that truth primarily because some people perceive me as much younger and I have no desire to burst their bubble. But truth sets you free if you admit it…so freedom, I’m embracing you. It is difficult to accept the fact that it’s true because it feels so unbelievable. I remember years ago attempting to imagine being 60 and, frankly, I don’t count those days as ones of which I'm particularly proud. I was as guilty as the next guy of making assumptions about people of “age” that have now come back and haunt me. Yes, many of the things you hear about getting older are true…there is a subtle tiredness that goes along with aging…there are lapses in memory…there are aches that never used to be there. Even so, there are joys that are experienced ONLY in this era of life that could not be part and parcel of the journey if only lived in youth. With age comes perspective…comes wisdom…comes the second half of life where achievement takes second place to meaning and purpose. I would be the first to admit that I was a hard charging achievement oriented individual for a majority of my life. In fact, many of the emotions I felt were due to perceived victories or measured impact in reference to standards that I had a deep conviction that I could accomplish. No hill was too hard or steep to climb…no challenge to big to deter me from taking a shot at conquering. My goals were grand because I had a relationship with a grand God…God sized dreams and visions were the things that got me out of bed in the morning. They were the fuel for excitement and passion in much of my life. Even so, though things have changed in many of the circumstances I currently face, the trials I still get excited about are huge in scope. Though I have learned to prioritize those objectives that keep me focused on a day-to-day basis, I’m still dreaming and hoping and wondering what God is up to and how I might join Him in the next challenge. Achievements are still motivational for me though the reasons have changed…I’m not concerned with self-esteem or achievement for achievement’s sake…now I’m concerned with legacy and long-term impact of any and all goals I choose to pursue. My first half of life insecurities have been transformed into second half of life pleasures and desires to see other succeed and find fulfillment in what they accomplish through my efforts. My ego has taken a back seat to community…which, in many respects, should have been where it belonged in the first place. It’s hard to believe that I can actually start counting the years of potential activity. I can work with a buddy of mine in financial planning and start actually uttering the “r” word…I can start asking myself what is going to be my PRIME focus in the immediate years that will leave me with a sense of peace and pride in accomplishment when I complete this next season in life. And make no mistake about it I still want to make a difference…but my difference making needs to be more focused…more laser like in its impact instead of spot light like in being broad scoped. So I guess this age thing if good for anything is good for at least that…maybe for the first time in my life I’ll be focused. Good for me! I’ve also started to look at events in life a bit differently. Christmas has changed…yes, the activities that have always engulfed my life during Christmas have still been there to make their impact. I’m still involved in puppet shows, worship experiences, message planning and teaching just as I have been for more years than I care to count. But I’m reading more on silence, meditation and reflection these days than ever before and I’m learning that my heart’s desire is for more of THAT then more of what has bee my life’s staple for years. And you know, maybe if there is one thing that I’ve missed out on over the years is the deeper meaning of many of life’s events. I know in busy-ness it is easy to skim over meaning and, I’m sure, that’s why my heart is yearning more for meaning and less for activity. I’ve discovered that just as I fed my spirit with activity in years past, now I need to feed my heart with things that it needs and desires…that being, quiet and silence…stillness and deeper reflection. Maybe this age thing isn’t quite as bad as it may seem. Maybe age isn’t really age it is more maturity. In that case, all I can say is “amen” to that for by all means I, and all of us for that matter, need a little maturity. So, bless you as you end 2014 and look to 2015. May you take a few moments to reflect on what gives you meaning and purpose. And then, would you lean into that…fill your heart and spirit with that nourishment. You won’t go wrong if you do! We are getting close to the end of the year. 2014 has been eventful for everyone who reads this blog post today. You may not think it has been positively eventful but it has been transformationally eventful one way or another. You and I have been shaped by this past year’s events, circumstances, situations, crises, and celebrations. In fact, there will never be another time in our lives where we have had the “perfect storm” of life impact us in such a manner. I know it is not something we usually reflect upon when reviewing a year. Most of us have a tendency to view “decisive moments” (moves, promotions, etc.) as defining moments. We diminish the mundane to focus on the spectacular. But trust me when I say that it is precisely the mundane that has shaped us the most. All of us have spent the past 365 days responding and reacting to various life stimuli. Whether love or challenge…hurt or acceptance…tragedy or delight…we have all grown as we have exercised the choices we have made as we navigated every circumstance. For many of us longtime habits have been solidified as we keep reacting to life in predictable but oft times harmful manners. Despite the fact that we would love to see our lives change our foreseeable reactions keep us stuck unable to grow. Remember insanity is doing the same thing over and over again and expecting different results. We’re getting the same things in life because we don’t take risks. Others of us have taken that huge risk in making choices to respond differently to issues that would have in the past taken us aback and damaged us in one way or another. Now, because of the new steps we have taken, what would have made a negative impact on our lives has just floated by as we have chosen a new path. In some ways, our lives will never be the same again because that risk paid off…honesty really did work…integrity really does make life better…telling the truth does set you free. I read the following devotional today from Richard Rohr, one of my favorite spiritual mentors. Rohr has uncanny knack of seeing beyond the surface of our lives to something deeper, more profound and more potentially transformational. I’ve always wanted to have a good “take” on my soul. His words helped me this morning see me in a different light. And, as I mentioned above, with this knowledge…with this encouragement…with this exhortation, maybe I can make some decisions in the coming year that will bring me to a new place of wholeness and peace. I know what it will take to get there…I pray for the strength to do it. In the final stage of life, what I call the “I Am Who I Am” goal, you know your body is not you of itself; you have found your soul and been contacted by Spirit. You do not need to protect your external self, roles, money or status symbols. You do not need to promote them or prove them to anyone. You can even let go of your image of being superior in any way: a holy person, more moral than others, smarter, an advanced or enlightened person in any sense. You know that whatever has happened to you is all God’s work and you have merely been the lucky recipient. You did not do it; it was done to you. You do not waste time admiring yourself; it takes most of your time to admire the God who has done this to you and for you and as you—and for no good reason! God creates exquisite wildflowers in hidden valleys that no human eye will ever see—just for the inherent joy and beauty of it! Goodness is always diffusive and outpouring of itself by its very nature. In fact, that is what makes goodness so beautiful. At this later and more mature stage, it’s enough to be simply human. I can now let God take care of whatever it means to be spiritual, because I am not even sure what “spiritual” means anymore. Everything seems to be both material and spiritual at the same time. Finally I have met my worst enemy, and that enemy is me—not the other, whose very enmity has often turned out to be friendship and intimacy at the soul level. By now, I have faced much of my shadow and found out that God loves me best in and through my mistakes, so I do not need to posture any more. At this point, you are not tied to believing that your religion is the only one that gets people to God. You can see God in all things, everywhere, and easily in people outside your own religion. They did not change, your doctrines did not change, but you did! You have met the Formless One, so the mere forms of religion are not so important now. Still, you do not throw out any of the previous stages; you now know that people need to go through all of them. You do not waste time opposing the rituals, the doctrines, the hierarchies, the scriptures, or the belief systems that got you on this path; but now you know they are all just fingers pointing to the moon; they are not the moon itself. This is total non-dual thinking, a different mind and a different experience. This is the mind of the mystic. I am who I am in the eyes of God, nothing more and nothing less.